When you think about the Indian conception of God, most Gods live either alone or with their consorts. Jagannatha lives with his elder brother and sister in his huge home at Puri. Quite a departure from the usual norm; it doesn’t end there too. Not only does he have more members in this wonderful ‘divine’ family, the members are spread all across the state. Each of these deities has a very well-formed popular understanding of their characters. At times, it is just fascinating to study these beliefs and how anything or the else in Odisha invariably leads to Jagannatha. Let us look inside the grand temple of Puri first. This is the Badadeula, quite literally the ‘big temple’. Of the twenty four styles of homes this is considered to be Vishnu’s favourite and Jagannatha was accepted to be a primarily Vaishnavite deity when this temple (the third one) was constructed. He does not live only with his family though; he lives with his relatives, acquaintances and in a complex socio-cultural web, the entire society of Puri operates like a family for this deity to whom the Gajapatis of Odisha voluntarily acceded subservience. Inside the sanctum sanctorum on the huge singhasana his elder brother Balabhadra sits to the left and Jagannatha himself sits to the right; their sister Subhadra is in between her brothers. Balabhadra is white and his eyes are slightly reddish, intoxicated by the kadambari wine, which is considered to be his favourite. Canopying his head is the seven-headed white snake and he holds a huge pestle and plough in his hands. Being the elder brother, he is revered and obeyed without question. Besides, everybody knows that he is easy-to-anger and easy-to-please and hence, no one messes with him. No one. Jagannatha on the other hand is everyone’s friend. They can talk to him as they are, without pretension, even hurling abuses and joking about his black face. To the young guys he’s the cool dude, to the elderly & the octogenarian priest he is a son and to the dancing Mahari servitor her husband. Balabhadra is a bachelor while Jagannatha’s wives Bhudebi and Sridebi sit on both sides of him. Bhudebi is generally equated with Saraswati; calm, composed, artistic and knowledgeable. Sridebi or Lakshmi on the other hand is fickle, jealous and always looking for a fight. Lakshmi even dares to get into an argument with Jagannatha when he returns after the Ratha Jatra. One of the insults hurled is from Jagannatha who calls her squint-eyed. Going one step further he calls her father, the sea god Mahodadhi ‘salty’ and ’screaming’ and at the end, poor Jagannatha concedes and gives her a sweet Rasagola. He does his job of being a good son-in-law by regularly paying visits to his father-in-law though, so points for that. The temple rituals acknowledge these ancient, nuanced behavioural analyses by the public. At one point Lakshmi and Saraswati get into a headless fight and poor Saraswati finds that nobody is by her side because all the other greedy demigods want some fast cash by siding with Lakshmi. Jagannatha is in an even pitiable state as the husband; he has to stop the banter and he calls the goddess Bimala for help in coaxing the womenfolk. She gets irritated and finds this squabble of no use, preferring to retire to seclusion with her music. The tantric goddess Bimala sits behind the towering badadeula in her own shrine. She is the mistress of the yoginis and the matrukas, possessing chants and adept in the mystic arts. Donning a classic black saree she tells Lakshmi to throw magic dust on her husband to bring him to his senses if he is too enamoured with his fantastic journey during the Ratha Jatra. There are other members too. Natua Ganesha, for example, maintains records of the visitors. Agniswara Mahadeba inspects the food that comes out of the stove and Goddess Hingula of Talcher burns as the flame in the kitchen. Lakshmi herself is the head cook. Goddess Kuttama Chandi appears as a dog on the premises if there has been any pollution of the food before offering. Bhandara Lokanatha is the treasurer and the protector of the Ratnabhandara. Isaneswara Mahadeba towards the northern side is Jagannatha’s teacher. Hari Sahadeba tends the cattle and is in-charge of the dairy. Khetrapala Mahadeba maintains the security and the ferocious Bedhakali guards the inner complex. Each one has his or her duty in the grand scheme. Perhaps the most well-known of all of Jagannatha’s relatives is Mausi Maa, his maternal aunt. Her actual name is Ardhashani and she looks a lot like Subhadra because they are from the same family. She lovingly cooks a podapitha each year when Jagannatha stops by at her humble home by the Badadanda each year during the Ratha Jatra. Bhubaneswar’s Lingaraja Shiva similarly stops by at his sister Kapalini’s house at the Baitala Deula and gives her a gift. A little far away, Niali’s Madhabananda is Jagannatha’s uncle. Madhaba lives with his sister Durga in that place. Before the Ratha Jatra, the siblings get permission from their uncle for their outing. The 15th-century philosopher-poet Balarama Dasa even mentions deities across the state who come to Puri to get a sight of Jagannatha night time Badasinghara attire. We have talked about all kinds of relations, but who are the parents? Strange are the deities of Puri; they have not one but five pairs of parents. Each year they offer funeral oblations to Kasyapa-Aditi (for Vamana), Kausalya-Dasaratha (for Rama), Basudeba-Debaki and Nanda-Jasoda (for Krishna). At the end, they make offerings to Indradyumna and Gundicha, the legendary king and queen who erected the first temple and started it all. 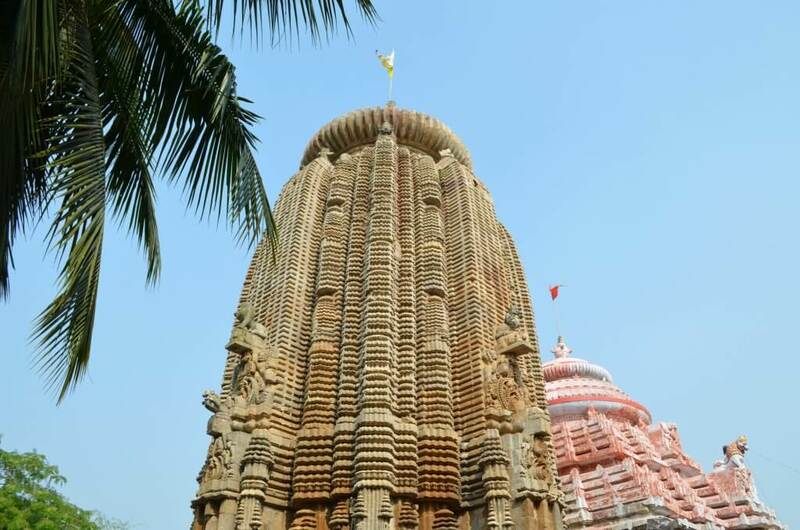 Indradyumna had asked Jagannatha to give him no offspring because then his children would have claimed the temple as a feat of their ancestors. Childless, the couple would have nobody to complete their funeral and so Jagannatha took that upon himself. The dark God of Odisha surely knows how to pay gratitude.